June Farley of Whatipu posting a letter in 1940. Until recent years the store incorporated the Post Office. 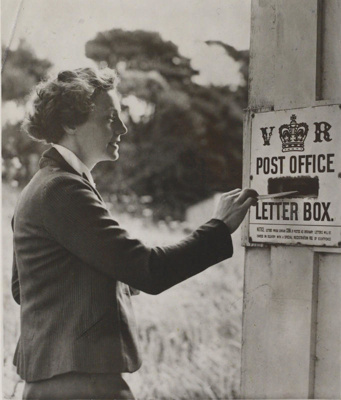 The VR mail box remained for many years until stolen.